WE BELIEVE your pets DESERVE the best! We put your pet’s health and well-being first here at Buster’s. That’s why each one of the products we carry have natural, nutritious ingredients that help your pets live long and happy lives. Love our products? Join our loyalty program! 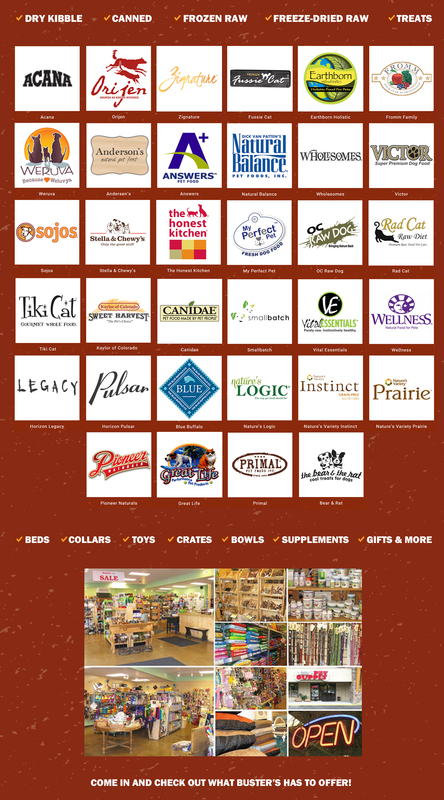 Check out some our natural dog food, cat food, treats, and more!